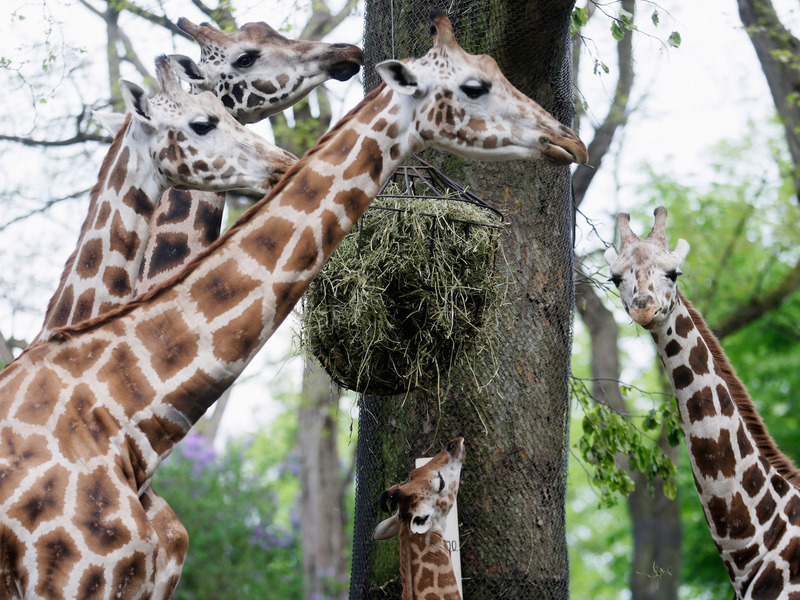 Joern Pollex / Getty ImagesGiraffe populations in the wild are dwindling. Giraffe parts are being imported into the US “to be made into expensive pillows, boots, knife handles, bible covers and other trinkets,” according to a New York Times report. The sale of giraffe parts is completely legal in the US. That’s despite the fact that giraffe populations are currently on the decline, according to the Giraffe Conservation Foundation. Giraffe parts are streaming into the US, where they’re used to make everything from fancy boots to bible covers, according to a report from The New York Times. And the imports aren’t part of some illicit trade: The sale of giraffe parts is legal in the US. According to the report, a Humane Society of the United States investigator found “bible covers selling for $US400 and equally expensive boots” made from giraffe parts on the market. The New York Times also reported that the Humane Society of the United States found that the US was flooded with over 40,000 giraffe parts from 2006 to 2015. The parts were fashioned into “expensive pillows, boots, knife handles, bible covers and other trinkets,” according to the report. For some of these products, it isn’t “even evident that the source is a giraffe,” as the animal’s hide had been scraped of its identifiable fur, according to the New York Times. But giraffes aren’t the only big game animals that have been the subject of controversy lately. The Trump administration’s stance on big-game hunting has caused consternation among conservationists. The Trump administration has lifted certain bans on animal trophies, causing a spike in imported elephant and lion parts, according to The New York Times. The Guardian reported that, while Donald Trump has criticised trophy hunting, the advisory board he set up – the International Wildlife Conservation Council – mostly consists of hunting advocates. A company linked to Trump’s adult sons Donald Jr. and Eric also owns a massive hunting preserve in upstate New York.